Since I soaked my tender lions and liver in a saltwater apple cider mix and then in milk the other day and had the best tasting, non gamey venison I've ever had so I decided to try it on some pure burger I grinded up. I soaked it in vinegar and salt mix for a day and a half, then in milk for a couple hours. The burger absorbed the milk and water like a sponge and was a pile of loose, sloppy mush. My plan was to make burgers on the grille. I put the pile of mush in a bowl, threw two eggs in with it, a hand full of flower, and hand full of seasoned bread crumbs, some little bits of crunchy, fried onions I had in a can, some salt, famous Daves rib seasoning, and some fish seasoning. Mixed it all up and threw it in a pan. I mixed up some ketchup, BBQ sauce and brown sugar together and glazed the top. I put it on the oven for an hour at 350 degrees. 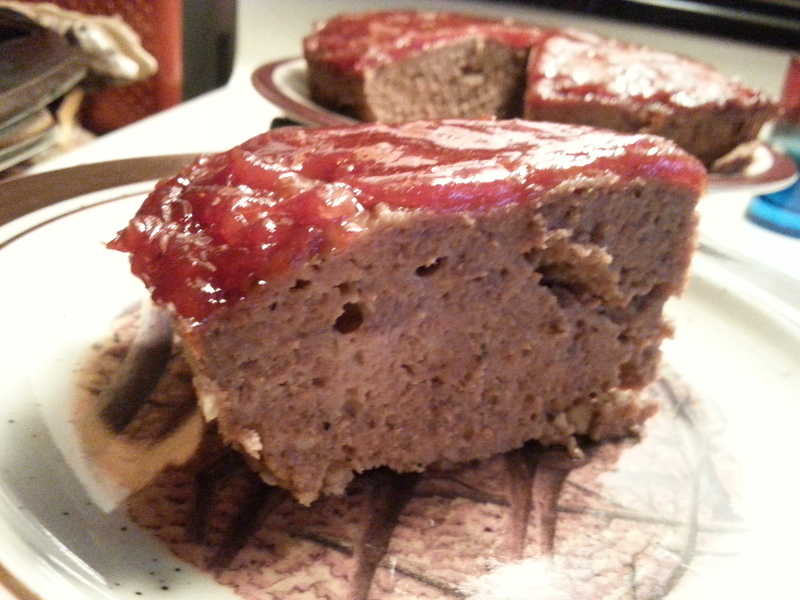 It tasted great for a cobbled up meatloaf! I already had two sandwiches! Once again no gamey taste...you couldn't tell it was venison if someone wouldn't haven't told you it was. Gave two sandwiches to the neighbors that hate venison. I didn't tell and they didn't ask. But they did tell me they loved them. Lol...shhhh! Last edited by Tripplebeards; 02-03-2019 at 02:28 PM. But I bet it tasted dang good. Looks great...I like the soak in saltwater and apple cider idea...that would be awesome with the liver for sure. Thanx for sharing it. I have a meatloaf recipe as well...but I don't marinade any of my burger first. I just have enough spices/seasonings in it to completely mask any gamey flavor. 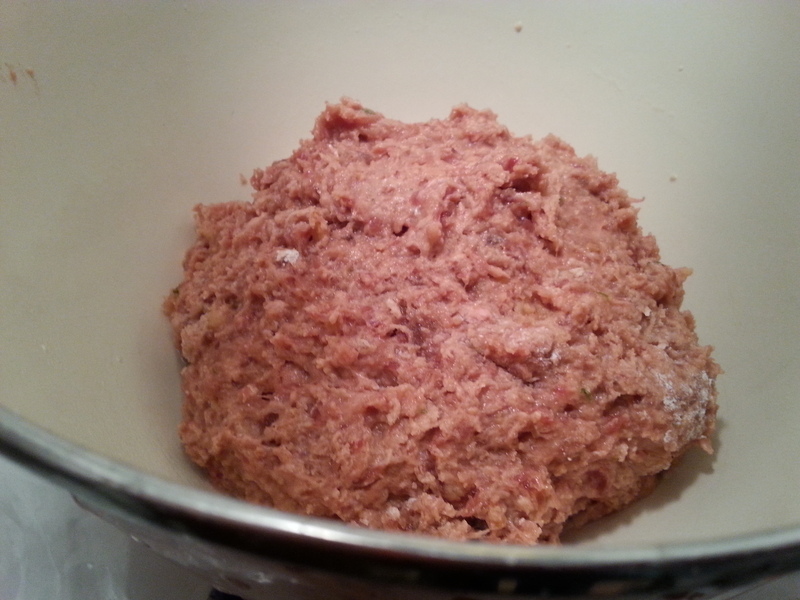 My meatloaf is made from ground venison that was mixed with pork. I then throw in 2 eggs, worcester sauce, minced garlic, a few dashes of soy sauce, a few teaspoons of oregano and parsley, dried minced onion, about 1/4 cup of Parmesan cheese, then add some italian breadcrumbs and form into a loaf. Bake about 1 hour at 375*. I'm like you...top it off with a little BBQ sauce...and I'm happy as a pig in slop. You guys are a Bad Influence!!!! Yep, don't own any bread pans and never made meat loaf before. I grabbed one of my pie pans and hoped for the best. I was afraid I'd burn it because the loaf was only around 2" thick at max. No, burning but a little crunchy on the edges where it touched the pan. Kinda like a meat pizza crust. Normally when I eat venison it cleans me out most the time...pretty quickly alo F with a stomach ache before hand letting me know the end is near. But after doing the salt water/vinegar soak that draws the blood out I have no issues. The vinegar kills any bacteria as well and brakes down enzymes in the meat making it tender. Last edited by Tripplebeards; 02-03-2019 at 02:31 PM. Was that the one the coyote chewed on? yes....now me.lol I'm sure the vinegar killed any of his dirty saliva off my loaf! You noticed I didn't say it tasted like coyote either. Reminds me, I have to go check my trail cam again I have set over the carcass now that it's not fifty below. I've made a lot of meatloaves out of venison and feral hog sausage mixture--my family recipe was always 2# ground meat to 1# pan sausage. I've never soaked venison and never had any tasting gamy or strange. Maybe I'm just lucky, I dunno. Of course, I've never had a deer chewed by a coyote. I'm sure I'm lucky with that. I have some Elk I'm trying this with. Thanks ! Thats because your pork masked it. Most people grind pork into their burger to help hold it together. It also Removes the gamey taste. I call that cheating. I'm using 100% pure venison I ground up myself , not someone else's mystery meat that the average Joe got back from the processor after dropping off their animal that was mixed with beef or pork tallow. I have finally found a way to eat venison without tearing me up whether it tasted good or not before soaking. This process removes all to most of the blood that Kills my digestive tract. Have had a few other posters give me static about soaking . Don't knock till you try it. I'll bet you will say it tastes better but will never admit it. My dads the same way. He'll pull a backstrap out of the freezer, throw it in the crock pot and no one will it...and he thinks he's the best venison chef ever.lol he's been doing this for years and tried some of my soaked venison along with my mother who won't eat deer. 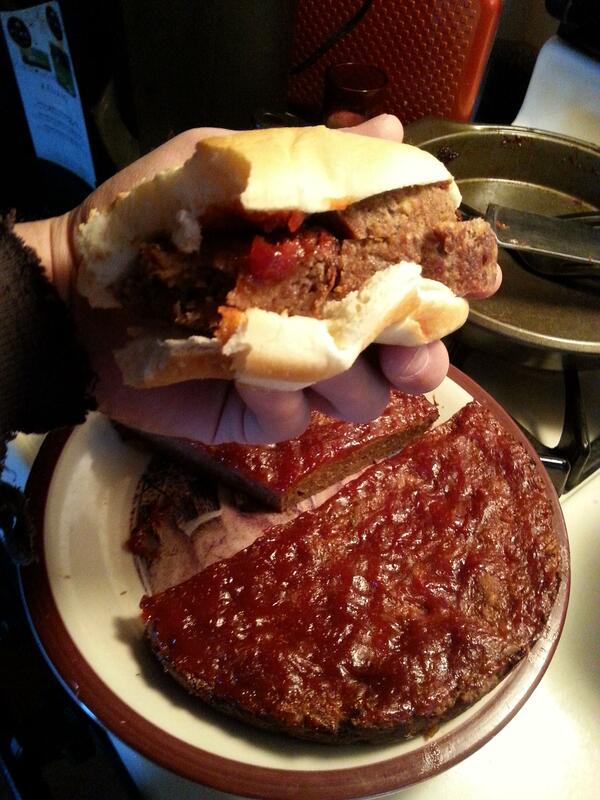 In the last week she ate a loin and a half I made and one of these meatloaf sandwiches. She's consumed more deer in a week than she has in the last 30 years. I must be doing something right. 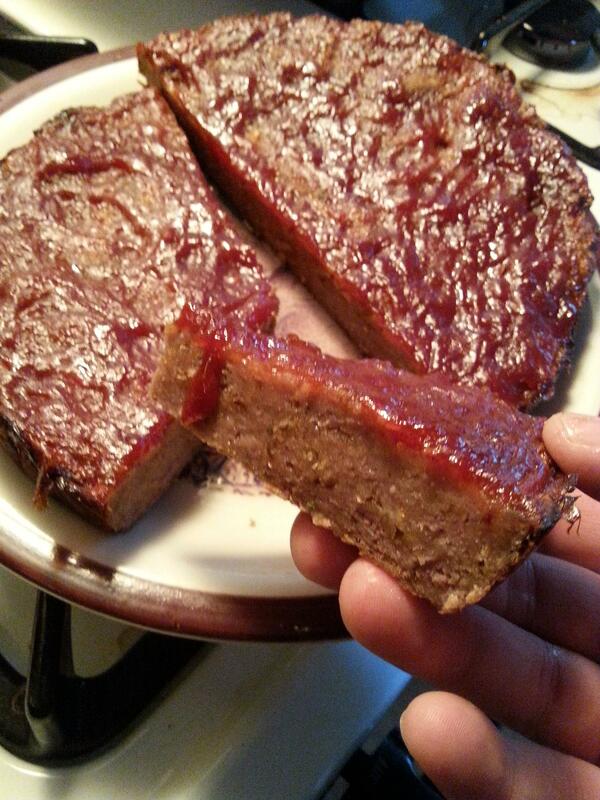 It's lunch time...time to warm up some leftover meatloaf! Last edited by Tripplebeards; 02-03-2019 at 02:52 PM.
" ... a hand full of flower ..."
Your recipe didn't specify ... what flower did you use? Roses? Tulips? Petunias? 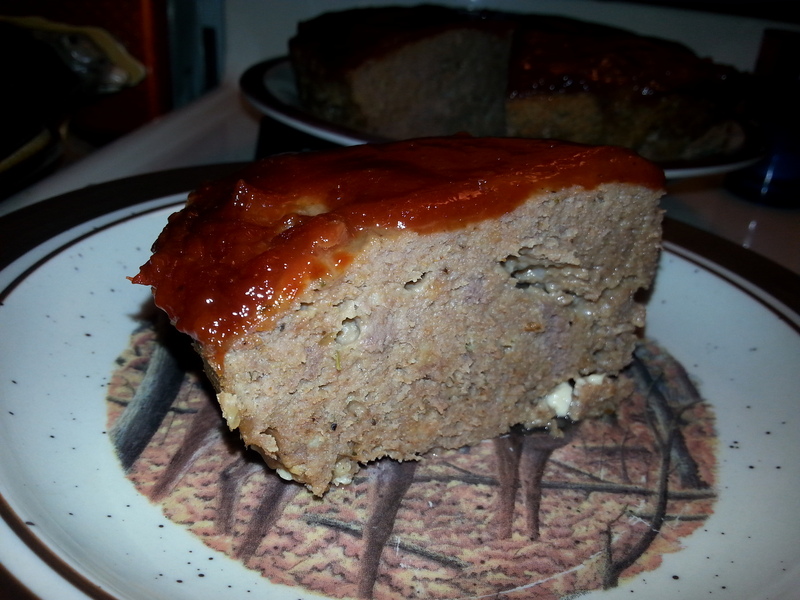 I have always made my venison meatloaf with little chopped up cubes of fat back mixed in. The only gamey tasting venison i have tried to eat was allowed to age a week or so with the hide still on. I learned along time ago this aging method allows the meat to rot. Not good in my book. I get my deer skinned and processed ASAP. I always pack the cavity with ice until it is skinned and ready for processing. I add nothing to my deer burger and there is zero gamey taste or smell. agree totally. Bottom line is venison tastes different then beef and I like the flavor. Its wild game. Cant see trying to make it taste like beef. If beef burger is what I want ill buy some. If you factor in what the average guy spends to get a lb of venison its probably more expensive anyway. Feel the need to kill it yourself im sure a farmer selling cows would let you go out and shoot your own even even gut it and butcher it People who don't like venison call it gamey. Its game. Its suppose to taste like game! I don't shoot ducks and try to make them taste like chicken. "Have had a few other posters give me static about soaking . Don't knock till you try it. I'll bet you will say it tastes better but will never admit it." I'm sure not doing that, sorry you interpreted it that way. Just that we never had venison that was gamy or strange. We process all ours in the house and grind our own, as well as make our sausage. Like you, I'm not interested in eating venison that was ground with a couple of other deer that someone may or may not have cleaned properly and in a timely manner. Made it again today with 2 lbs of pure venison. The milk didn't seem to penetrate as well this time. The burger still looked dark and had a thick, packing feel to it this time so I left the flour out to thicken it, added a cup of milk, a cup and a half of seasoned bread crumbs, three eggs, a pretty good amount of famous Daves rib seasoning for taste. I'm guessing a table spoon or so and some fish seasoning I had laying around for some more zest. The receipie I found said to bake at 350 for an hour using 1.5 lbs so I left it in for an hour and five minutes and took it out to check. I cut out my "pie slice" and it looked fine. I could tell it was just a hair watery like it was moist as the first one was not. The first one was crunchy on the outsides...this one wasn't. I took a bite and man is that good. I almost went too overboard with the spices. It tastes great but warms up your mouth. I did t have any onions so I left them out this time and couldn't tell. Starting to look more like a loaf now with 2 lbs. Last edited by Tripplebeards; 02-07-2019 at 05:47 PM. Don’t confuse us with common sense! I put my own spin on your original post, and did the apple cider vinegar/salt water soak then the milk soak. I added about 3/4 lb of ground chuck to the approximate 1.5 lbs of venison, Dale' s seasoning, about 1cup of bread crumbs, 2 eggs and some dried onion bits. Oh, and a package of cooked bacon. Cooked @375* for about 1.25hrs, glazed with 50/50 mixture of Sweet Baby Rays and honey. PS- I did have to put the over-saturated meat into a towel and squeeze out the extra "marinade ".